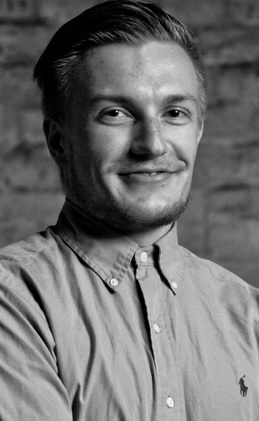 Mikael Lauharanta is the COO & founder of Smarp, a fast-growing employee advocacy software company from Finland. Today Smarp has 50 employees in Helsinki, Stockholm, London, and New York and they are working with some of the greatest brands in the world such as EY (Ernst & Young), Deloitte, and EMC. Mikael is an experienced speaker on social selling, employee advocacy, and social media measurement and frequently shares his views on the latest industry trends in different marketing, communications, and tech related events. In 2011 we consulted our clients on the role of employees on social media and the benefits of an active social media presence for both the employees and the employer. Working with our clients we realized there is huge potential for enterprise communications in the social media networks of the employees and by encouraging them to participate in the online communications we could create a true win-win situation between the employees and the employer. This is how we got the idea and started working on the first ever employee advocacy software. The employee advocacy trailblazers are clearly putting more and more focus on quality over quantity when it comes to content, sharing, and measurement. One example how we’ve helped shape this trend is creating SmarpScore, the world’s first ever employee advocacy influencer score that helps individuals measure how their professional influence grows over time. Companies are also getting better and better at measuring the results for their employee advocacy programs. They have clear KPIs for their programs and we can help them accurately measure the monetary value of the initiative and the quality of the traffic they are generating all the way to tracking the actual conversions whether it’s newsletter signups, job applications or actual purchases. There are huge opportunities in streamlining both internal and external enterprise communications. A lot of the companies we are talking to still use outdated and disengaging intranets or educating their employees of relevant news to read and share via email. We can help them move to a more integrated communications strategy where the employees stay informed and it is more engaging for them to participate. The explosive growth of mobile devices and companies no longer blocking social media at work has blurred the lines of professional and personal social media, which essentially makes employees brand ambassadors outside office hours too. Another opportunity lies in the declining organic social media reach for companies and the exponential growth of ad blockers. We’re moving more and more towards an ad-free society so companies need to integrate and involve their employees in the communications if they intend to maintain their reach and visibility. Social media platforms like Facebook and LinkedIn will never limit the visibility of posts from individuals so it is of extreme importance that companies think of ways to engage their employees and encourage them to participate in the online communications. One of our first listed clients had 10,000 followers on LinkedIn and we were tasked with improving their LinkedIn presence both from the company and employee standpoint. At the time they had 30,000 employees globally and 7,000 were already representing the company on LinkedIn. Working with them we realized their 7000 employees already had more than 260,000 unique first degree LinkedIn connections, or in other words over 26 times more connections than followers for their company profile. If we could create software that would encourage employees to participate in enterprise communications all while helping them improve their personal brand and thought leadership we would create a massive win-win situation between the employees and the employer. That’s what inspired us to create the world’s first employee advocacy software. Our vision for the business and employee advocacy as a whole is moving away from simply social sharing to improving employee engagement and thought leadership through easy access to latest news and content and putting emphasis on quality over quantity of content and sharing. The industry is picking up steam as evidenced by huge companies like LinkedIn entering the space or expanding their product portfolio to provide very basic employee advocacy functionalities. There will be acquisitions within the next 5 years but for now we are concentrating on capturing as much market share in Europe and US as possible and eventually increasing our operations in emerging markets such as South America and Asia. Without revealing too much on the product side, support for several new social media platforms and content types will be added, even more focus will be put on the mobile experience, and more internal communication and collaboration features will be launched. In some cases our software has already replaced intranets for our clients and I see this trend growing with the new features. We were the first to market and have been able to stay ahead of the curve by constantly coming up with new features and use cases for the product. Furthermore we hear time and again our user interface is very intuitive and that has been one of our key focus areas from the beginning. Another thing we decided very early on was to go global right away and not just provide for the home market. This has enabled us to capture significant market share in several key markets and keep the product fresh thanks to the feedback and development ideas from clients from different markets. Last but not least our commitment to data security helped us get the ISO27001 security certificate that has really made it easier for us to work with global clients operating in regulated industries. We created an entirely new category, which means we’ve had to educate the market on what we do. It is very different from entering an existing market and selling for example a CRM solution. Everybody knows they need a CRM, but they might not know that they need an employee advocacy software too and what it could help them with. We’ve learned that being persistent and staying true to your cause will pay off and our intuition was right this time as validated by the market entry of LinkedIn and other big companies and all of the investments in this space that wouldn’t have happened unless people believed in what we do. Our clients really appreciate the ease-of-use of our service, the responsiveness of our customer success team, and the gamification elements that make participation more engaging, but at the end of the day the most beneficial thing for them is when we can help them be better at what they do whether it’s creating more leads for salespeople, getting better applications for HR or just saving time for the individuals and helping them improve their thought leadership. For the companies the value proposition is twofold: an increase in hard values such as reach, traffic, and sales or soft value benefits such as improved employee engagement or better team spirit and understanding of the company values and offering. It all starts with having a clear vision and values that the employees can stand behind. When you have those in place and recruit accordingly you start creating an inspiring culture where the employees can support and learn from each other. There’s no glass ceiling or highly strict role definitions at our company and we really encourage everybody to create their own role and find their own place in the organization. Finally we have a very diverse team both in terms of backgrounds and nationalities, which also helps with creativity and encourages everybody to be different. In our specific industry it’s all about the user experience and on-boarding process. If employees don’t see the value of the initiative for themselves the program will not take off and the company will not hit the KPIs they set for themselves. Talking more broadly about entrepreneurship I’ve learned that you shouldn’t be afraid of telling someone about your idea fearing they will steal it. You are only missing out on important feedback and ideas that could help you break through. Also recruiting is probably the most important thing for a startup because you can only go so far with the founding team and product but you need exceptional people to be able to take the next step, carry out your vision and most importantly improve it.